Simply mix with water and apply with a watering can. The nematodes that they contain are naturally occurring microscopic organisms that seek out and kill the pests. Long-lasting and weather-proof too! Vine Weevil is a nightmare pest whose larvae kill plants by eating their roots, and adults decimate foliage. 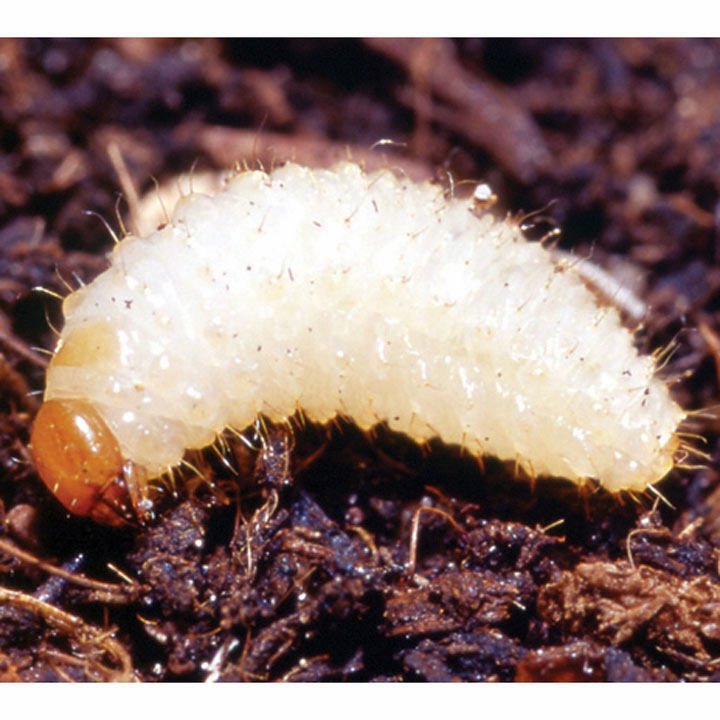 Apply when the larvae are active: March-May and July-November (whenever the soil temperature is above approximately 5°C/40°F). (12m² Pack.) Pack contains living organism, and should be kept refrigerated on arrival, and used before the expiry date, approximately 3 to 4 weeks from date of despatch. Please allow 7-10 days for delivery. (Please note: We regret that this item is not available to customers living in Eire.) Available in two pack sizes: 12m², 100m². Just mix with water, apply with a watering can!